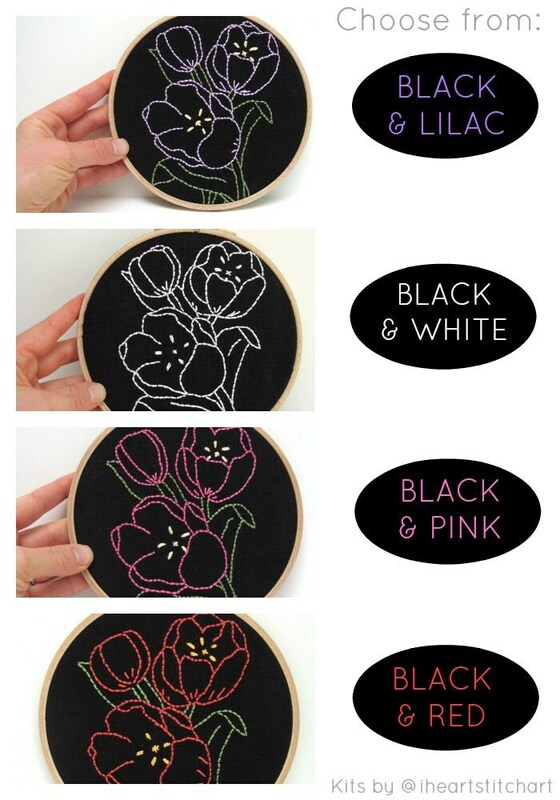 This modern embroidery kit is a perfect way to learn embroidery! 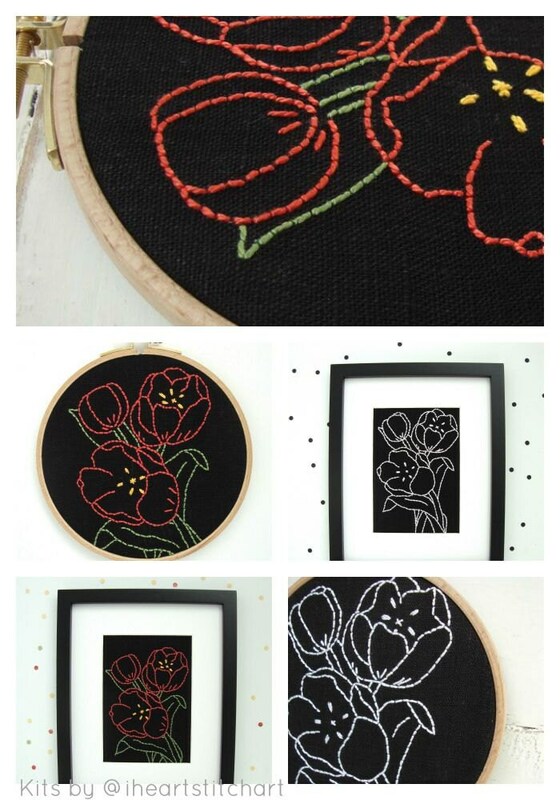 Choose your favourite colour and watch these tulips come to life. The bright colours pop so nicely against the black! 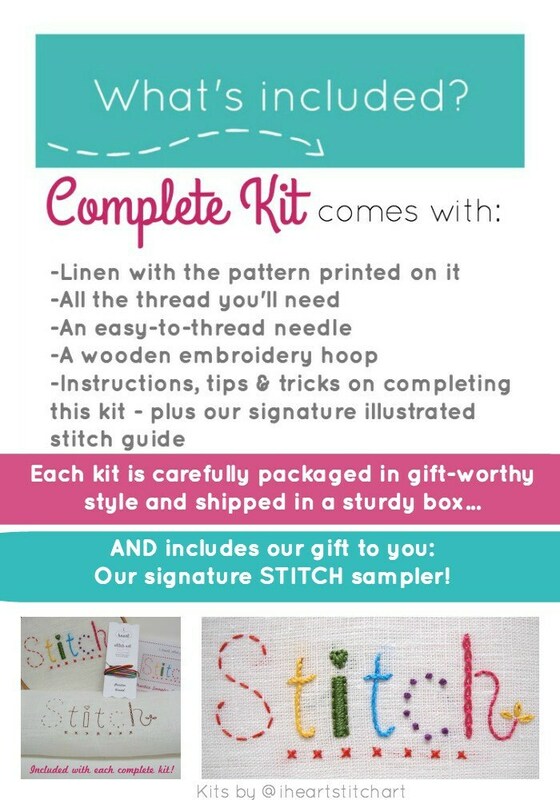 Note: This listing is for ONE embroidery kit! 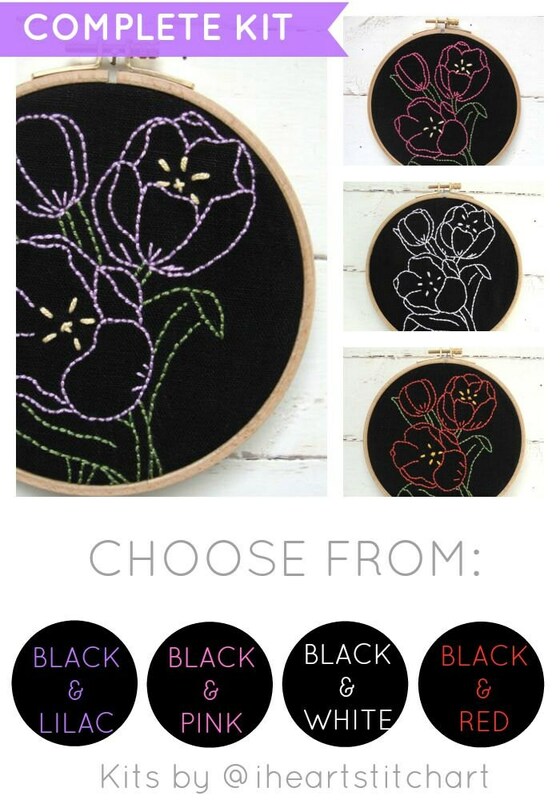 Select your preferred colour from the drop-down menu when adding to cart! 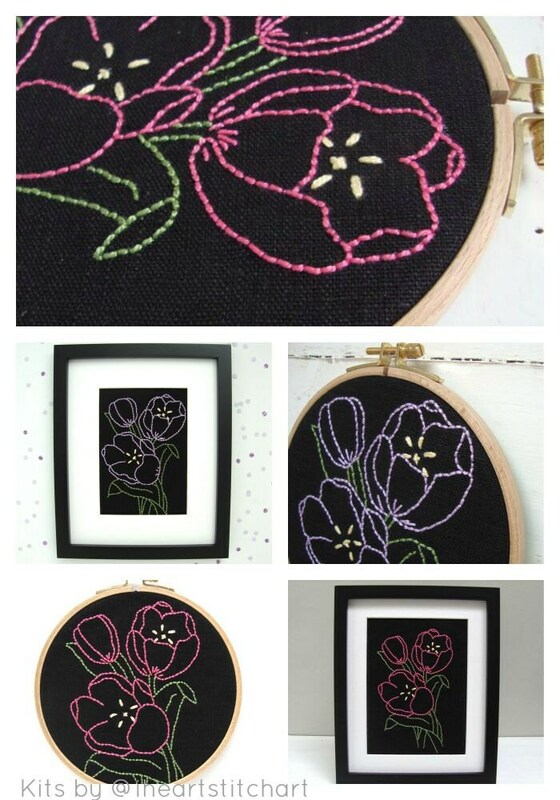 Fabric measures approximately 11.5" x 9.5"; tulips measure 4.25" x 6.75". This was my first embroidery project and I really loved this kit. It was easy to follow and turned out very pretty!